The Holmes County Planning Commission meets the second Wednesday of every month at 3:00 P.M. in the Old Jail building, on the first floor, in the Commissioners meeting room. 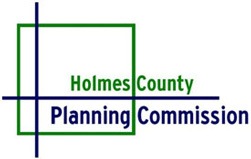 The planning commission administers nearly $1 million dollars in federal and state grants on behalf of the Holmes County Commissioners. For additional information regarding any of the above referenced programs please feel free to contact us.